On a family vacation to Cambridge, MA, while carrying around my wife’s camera, I snapped a few photos of my daughter playing in the park. I didn’t think much about it at the time. 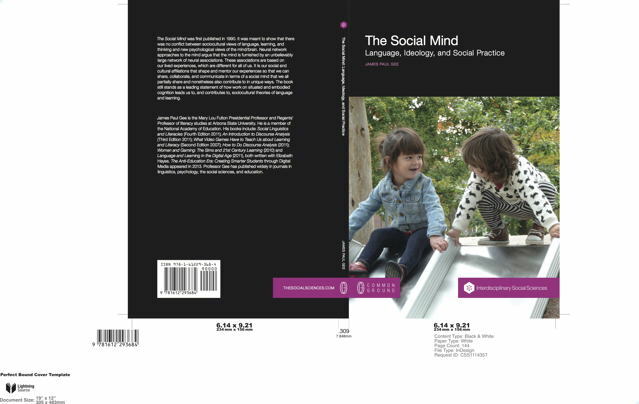 So, I’m pleasantly surprised and honored that one of the images became the cover photo for a 2014 reissue of James Paul Gee‘s The Social Mind. This entry was posted on Sunday, February 23rd, 2014 at 6:23 am	and is filed under People and Things. You can follow any responses to this entry through the RSS 2.0 feed. You can skip to the end and leave a response. Pinging is currently not allowed.